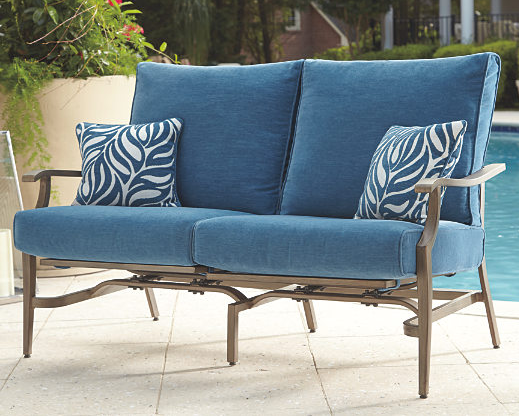 Treat friends and family to rest and relaxation with the Partanna outdoor motion loveseat. 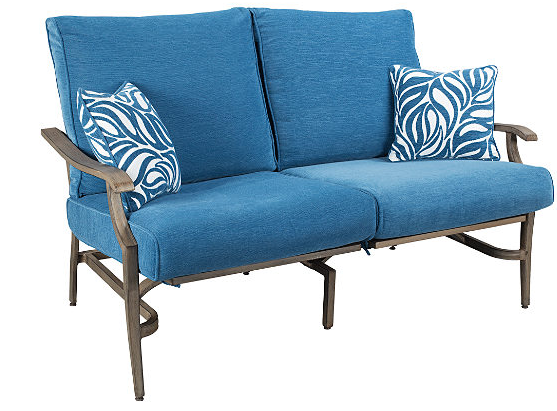 Durable aluminum frame is hand-finished with a “fine wood” grain. 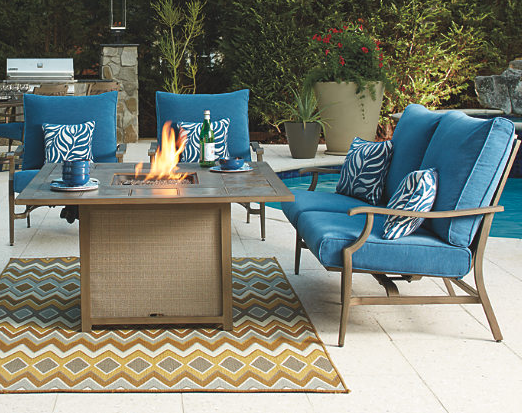 Chevron-woven wicker chair back and a gentle spring rocking base help while away the hours. 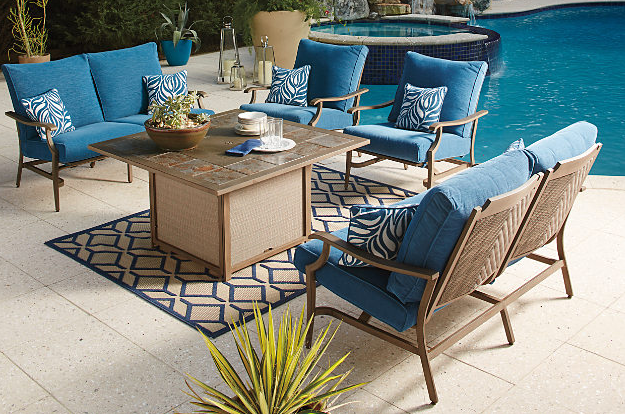 High-performing Nuvella™ cushions feel like velvet and outlast the weather.